Ai Editorial: How Lufthansa, KLM and Kiwi.com go about agility? Being ready for digital commerce in today’s connected era demands action on various counts. Preparation starts internally. In fact, without dwelling on internal factors, one wouldn’t be able to respond in an agile manner. Internally, it is vital to work out the apt blend of people, technology, data and analytics to be ready for digital commerce. Without doubt, the route taken to agility is an integral part of the overall transformation that also paves way for selling in today’s digital world. And this route needs to focus on people with the right skillset, then nurturing creative, cultural and processual freedom to prosper and eventually bank on the talent and efficacy of self-organizing cross-functional teams. Airlines are making meaningful progress on this count. Evaluating what the likes of Lufthansa Group and JetBlue have managed, there are lots of positive developments. In case of Lufthansa Innovation Unit (LIH), more than 90% of its team is from the start-up ecosystem. “This is a huge advantage. We understand that we have to build a lasting footprint and legitimize ourselves in the tech space first, even being a market-leading multinational with more than 60 years of experience,” says Gleb Tritus, Managing Director of LIH. Airlines today are recruiting the likes of information architect, usability testing specialist, data scientists etc. As these specialists strengthen various disciplines, this forms the first seed of agility. Then these teams typically work on a prototype of a new offering. It is crafted with the least effort possible to be used for validated learning about customers. An agile development team works on such minimum viable product to a subdivision of their users to test a new idea, to garner data and doing so learn from the whole exercise. 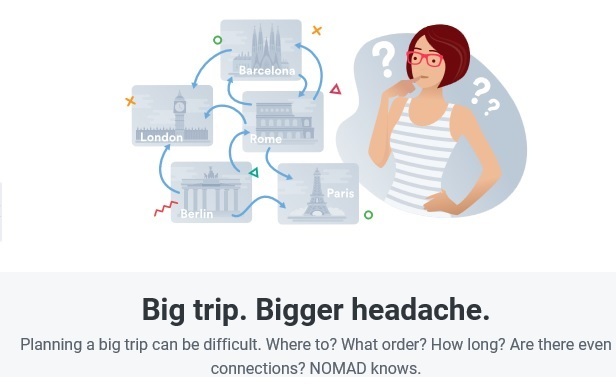 In case of Kiwi.com, the team worked on a new functionality in NOMAD that returns the cheapest itinerary possible between cities on the dates that a passenger intends to leave and return. The algorithm finds and organizes flights for the user. In case a project is launched to simplify travel on the OTA site, the UX designer invites several people involved - the product manager, UX, customer service, marketing etc. depending on the project. The team believes that gathering requirements and insights from all of these parties is important to enable the designer to frame the problem that is being solved and understand also what blocks them from executing the project. Once it is clear that what problem is to be solved the designer can start exploring ways to solve the problem - typically through a digital user interface but the solution can be found elsewhere too. Loops of concept tests and user test ensure that Kiwi.com designs the right thing right. Also, the chosen architecture paves way for the development team to deliver rapidly. Considering a real example for the same, how would an airline work on a new payment offering? How about facilitating payment via a WeChat chatbot? As indicated by KLM recently, for this to work, the blend of having an apt payment infrastructure and internal alignment is the key. “Internally, we started working via structuring or a framework like Scrum (to embrace agility). The number of product teams within the KLM digital is quite big. There are multiple teams working in sync within this agile environment, involving the front-end, back-end API teams, payments team…looking at implementing new projects/ features,” mentioned Maarten Rooijers, Senior Manager Payments, KLM. Hear from experts about agile transformation and retailing at this week's Mega Event Worldwide (Ancillary, Loyalty & Co-Brand Conferences) to be held in Long Beach, California (31st October – 2nd November, 2018).